Whether you like to admit it or not, we all want that “perfect Instagram feed”. The type you land on and scroll through for ages, longing to jump into each picture with admiration of that Instagrammer’s world. You may think it takes hours of planning, photography and editing, but it’s actually quite simple to get it going. 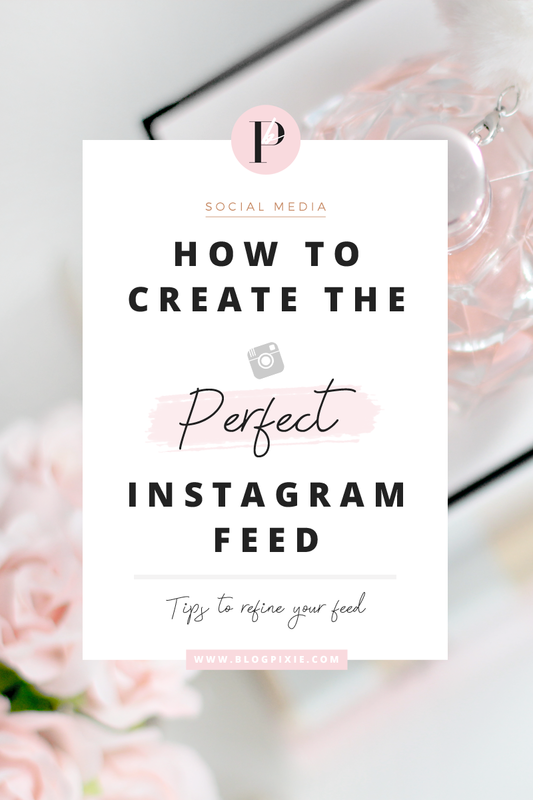 Firstly you will need to figure out how you want your Instagram feed to look. Do you love feeds that are bright with bold splashes of colour? Perhaps an ocean theme drenched in blue hues? Or feeds that are minimalist with shades of black, grey and white? Find the Instagram feeds you admire the most, screenshot them and place the images into a folder. 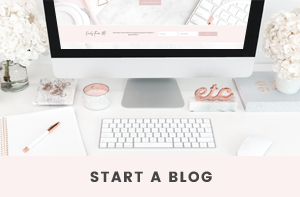 Once you have completed this task, you should easily be able to see what aesthetic you’re leaning towards, and that will be the style to run with. A selective colour palette will be the thing that ties your whole feed together. Unless you are incredible at photography/flatlays, incorporating every colour of the rainbow could have a negative impact on the overall look of your feed. 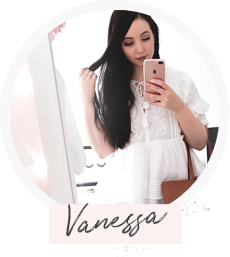 Using my Instagram @flipandstyle as an example, I have a colour palette predominantly based around black, pink and white. I do throw in other colours here and there if I want to feature certain things that just can’t stay in line with the colour palette (beach, sunset, products) but as you scroll through it’s clear to see that pink is my main colour. I found it quite helpful to have a colour palette based around items around my home. You will see me feature copper, marble, my black and white rug and pink cardboard as well. If you want a cohesive Instagram feed, it’s really important to edit your photos the same way each time you upload to Instagram. I have definitely strayed many a time from this pointer, but if I could share a bit of advice that I’d give myself as well, this is it! If you upload one photo that has the highlights set to 100, the saturation turned up to 50 with the VSCO Cam filter F3 added as well, then your next photo has the VSCO filter C3 with the saturation taken way down and the contrast set to high, of course both photos are going to look completely different sitting next to each other. Create an editing process that is purely yours and makes your feed unique. I personally use 4 apps to edit my photos, and that might seem excessive! But as I’ve done the same thing for so long, it takes less than 5 minutes to completely edit a photo. So this is probably a step that you don’t even realise a lot of Instagrammers do! 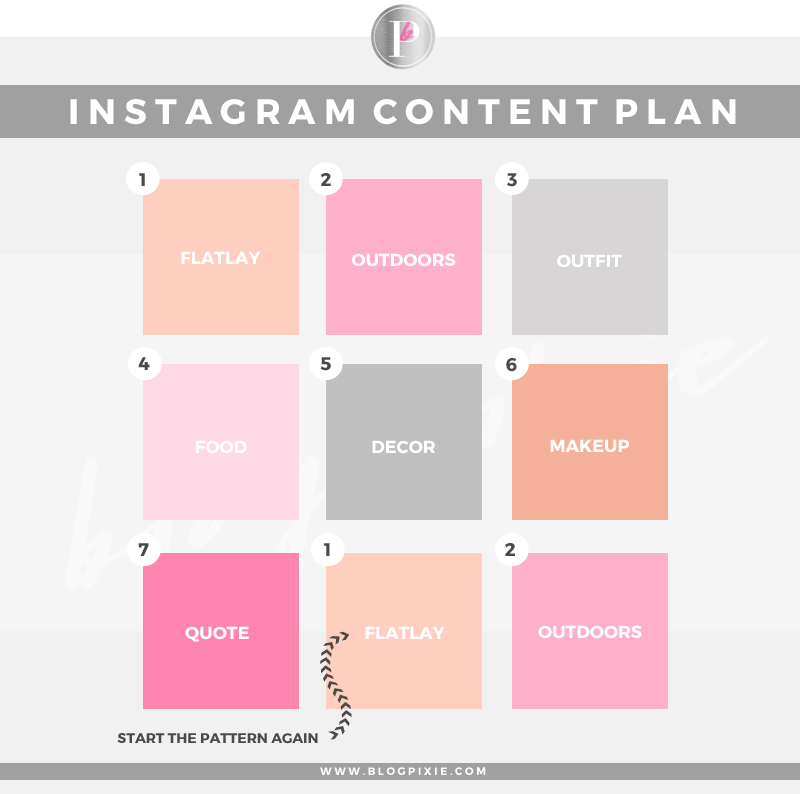 Developing a content plan will make your Instagram feed flow and prevent it from becoming a complete shamble. You need to keep spacial awareness in mind (eg. dark image, light image, dark image, light image) and make sure each image sits nicely along each other. To put it into perspective, I’ve included the image below. As you can see, I have a rotating pattern of 7 different types of images. 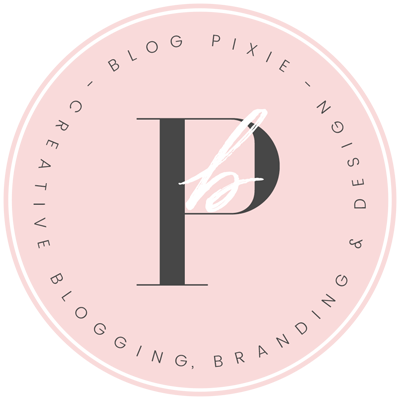 Uploading this same pattern over and over will have your feed looking flawless in no time! If you really want to create the perfect Instagram feed, you have to train your eyes and the right side of your brain to do the work for you! The more amazing Instagram feeds you look at, the more you’ll know what looks good and what doesn’t when working on your own feed. Trust what you see, focus on quality over quantity, don’t rush and it will happen! Do you have any Instagram tricks that have worked well for you? This is great info thanks !!! This post is so useful. Thank you very much and I fell in love with your blog. This is so useful! Will definitely be trying it out with my instagram!